What is Ampidrine by Innovative Diet Labs? Do you find yourself on the couch more than in the gym? Are you striving to smash a personal best but are lacking the energy to do so? Want to boost your mood, focus, and intensity? Ampidrine by Innovative Diet Labs is an advanced pre-workout thermogenic supplement that can do more than put you in the zone. With its unique formula based on research and results, you can be assured that your energy levels will be on another level along with your fitness results. Who is Ampidrine by Innovative Diet Labs ideal for? Why is it effective? Like many of their products, Ampidrine by Innovative Diet Labs is for those who are tired of wasting money on low grade supplements. It’s for everyone from the average gym goer to the advanced athlete who wants MORE from their thermogenics. 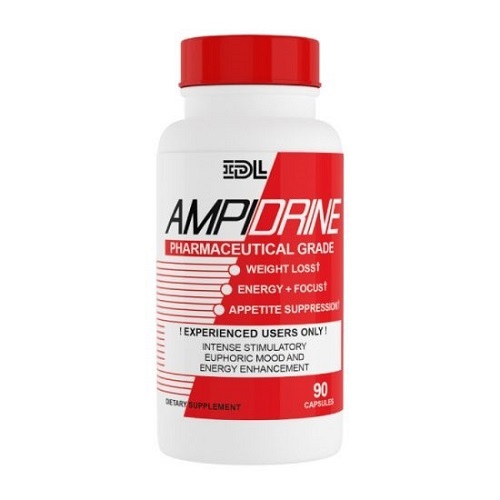 Loaded with proven ingredients, Ampidrine is the key to extreme energy and better weight loss. The reason that Ampidrene is gathering such a following has everything to do with the fact that it isn’t playing the guessing game. 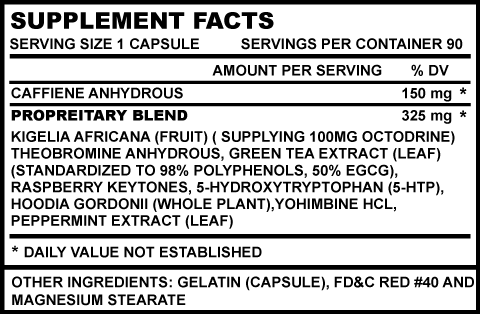 It knows which ingredients work and it makes sure to fully utilize them to their proven dosages. You’ll be getting exactly what your body needs for ultimate energy with every serving. What are the benefits of using Ampidrine by Innovative Diet Labs? So is more energy all you’ll get from taking Ampidrene by Innovative Diet Labs? Not even close. You’ll be getting EXTREME energy along with your body’s ability to maximize its metabolic response, performance, and strength. Are you still wasting money on supplements with flashy labels and no science behind them? It’s time to step up your supplement game with Ampidrine by Innovative Diet Labs. Ampidrine is based around two things: science and results. The ingredients contained within are precisely what your body needs in order to amplify your energy levels, maximize your metabolism, and make you feel super human. Become the best version of yourself with Ampidrine from Innovative Diet Labs. 1. Olatunji A. Gabriel and Atolani Olubunmi. Comprehensive scientific demystification of Kigelia Africana: A review. African Journal of Pure and Applied Chemistry Vol. 3 (9), pp. 158-164, September, 2009. 2 Ostojic SM. Yohimbine: the effects on body composition and exercise performance in soccer players. Res Sports Med. 2006 Oct-Dec;14(4):289-99. 3. D Bendahan, J P Mattei, B Ghattas, S Confort-Gouny, M E Le Guern, P J Cozzone. Citrulline/malate promotes aerobic energy production in human exercising muscle. Br J Sports Med 2002;36:282-289 doi:10.1136/bjsm.36.4.282.